New Delhi: IIM Calcutta organised the CAT 2018 exam, one of the major management entrance examinations for the masters courses across India, mainly for IIMs or Indian Institute of Management. “CAT came out of the bag with two thuds and one loud bang. The paper started with an ‘even easier than 2017’ VARC section,” says Gautam Bawa of Career Launcher on the slot 1 of the exam which was concluded by afternoon. The CAT 2018 is over now as the slot 2 was completed by 5.30 across India. “Then the level of difficulty of the DILR section provided a major reprieve to the nervous ‘jantaa’ as it broke with the trend of the last three years. It was a moderately difficult section, as compared to an out and out difficult section that has been observed over the last 2-3 years. However, this relief was short-lived as QA came out all guns blazing,” Mr Gautam added. “An overall attempt of 18-20 with 85% accuracy would be very good. 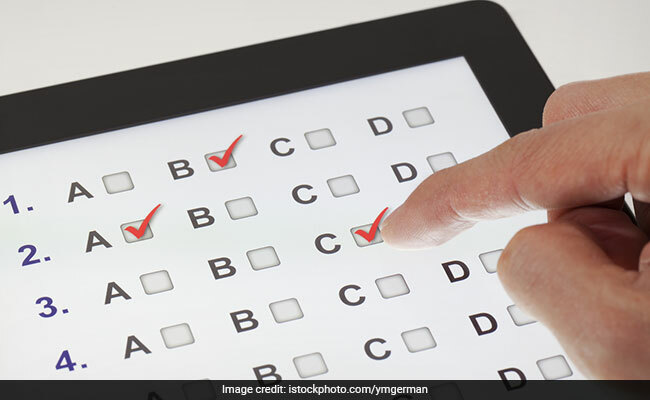 Overall, a 99 percentile score could reduce by about 15-18 marks as compared to last year. Thus, a score of 150-155 should fetch a 99 percentile,” Mr Gautam added. “IIM-C kept its reputation intact, with its emphasis on the QA section,” observed Mr Gautam. “VARC greeted students with an easier than expected paper. However, the pattern of the paper didn’t strictly match that of the sample paper provided by the CAT team. There were 34 questions with 7 Non-MCQ questions. There were no instructions provided for the number of questions in each passage. However there remained 5 passages. One passage had 4 questions (the passage on Genetics) while the rest had 5 questions each. The topics of the remaining RC passages were also from familiar areas. They were easy to read. There were quite a few inference-based questions, but these were easy to attempt,” said Mr Gautam. “After three consecutive tragedies, DILR-2018 must have been a pleasant surprise. There were 32 questions in total with 8 Non-MCQ questions. Unlike last year’s paper, the theme of the sets was more conventional. With smart selection, around 4 sets in the section could have been attempted very easily with good accuracy. A couple of sets had 1 ‘difficult to crack’ question each. And a student should have been wise enough to leave these aside. Calculation wasn’t required at all in the DI sets,” said Mr Gautam. “For students who were already scared of this section, it could have felt like a nuclear disaster. However, for the ‘engineering-dominated’ group, this was not impossible to attempt. The questions were calculation and logic intensive, not theory intensive. There were 34 questions of QA with 12 Non-MCQ questions. It was arguably the toughest QA section in the last four years,” said Mr Gautam.